The dinner table is the setting for so many important moments in a family’s story. That’s why it’s also the setting for “The Big Meal,” a play by Dan LeFranc that opens Friday at the Croswell Opera House in Adrian. “The Big Meal” takes place in a series of restaurants over the course of several decades, telling the story of a single family in episodic fashion. Eight actors portray the characters as they age, with performers stepping into new roles as the years advance. Individual vignettes provide glimpses into key moments in the characters’ lives. “It’s kind of like eavesdropping on families at dinner in an Applebee’s or a Benningan’s,” said director Eric Parker. The cast members are Pat Bogusz of Tecumseh, Stephen Dean of Pinckney, Alisa Mutchler Bauer of Pinckney, Peter Stewart of Adrian, Kelly Fandrey of Toledo, Nate Adams of Clinton, Maggie Page of Clarklake, and Dylan Masters of Adrian. Parker said most people will see something familiar in the play. Taking place on a set with minimal decoration, the play puts as much emphasis as possible on the players and their interactions. 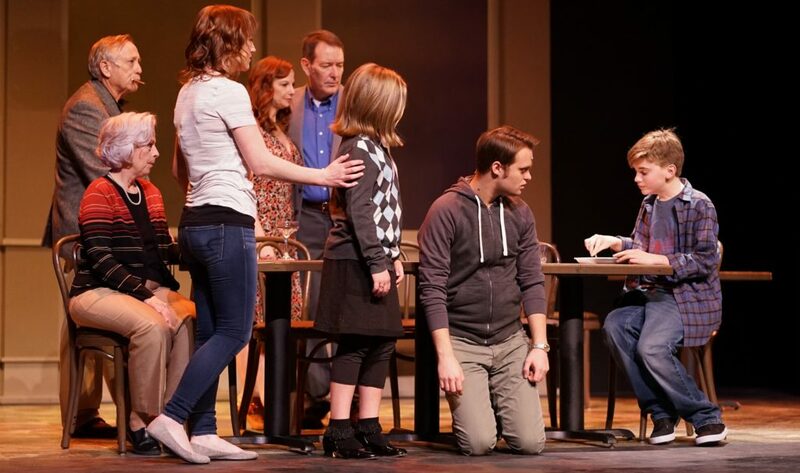 “The Big Meal” was first produced at Playwrights Horizons in New York in 2012 and has been staged at a number of regional theaters, but hasn’t been performed at many community theaters. This means the Croswell’s production gives local audiences a chance to view a new work that they probably haven’t seen before — something Parker said is important to the Croswell. “A lot of theaters don’t take chances on something that’s not a warhorse, if they do plays at all,” he said. “The Big Meal” opens Friday, Feb. 23. It runs for two weekends, with Friday and Saturday shows at 7:30 p.m. and Sunday shows at 2:30 p.m. 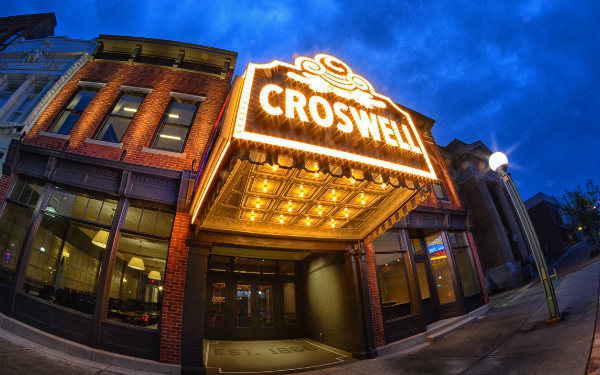 The Croswell is at 129 E. Maumee St., Adrian. Tickets range from $12 to $25, and may be ordered online at croswell.org.